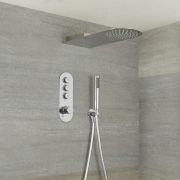 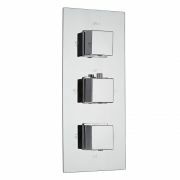 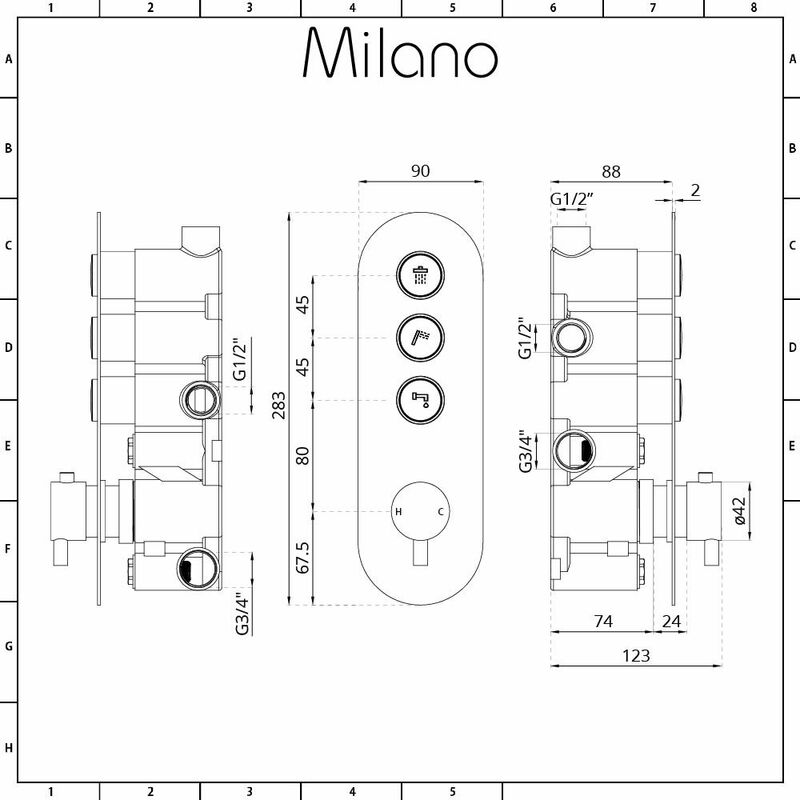 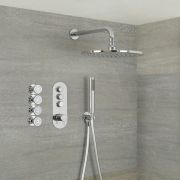 Smarten up your bathroom with the Milano Orta three outlet thermostatic push button shower valve. 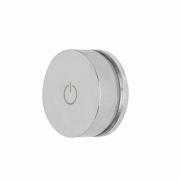 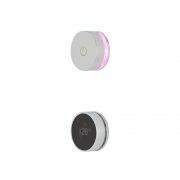 Incorporating anti-scald technology to ensure a safer showering experience, the shower valve features easy to use push button controls and a sleek, modern design. 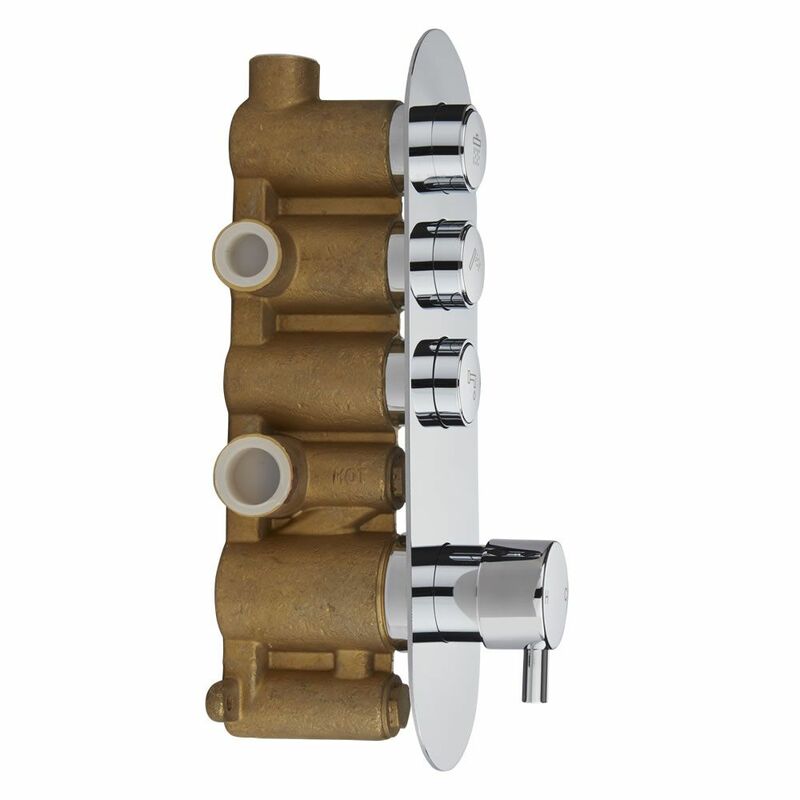 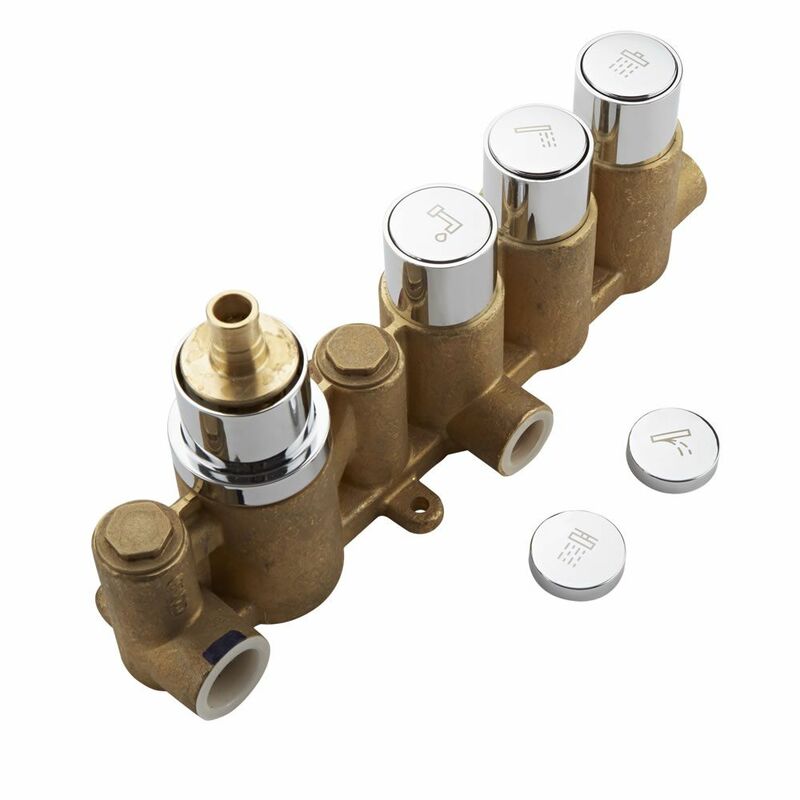 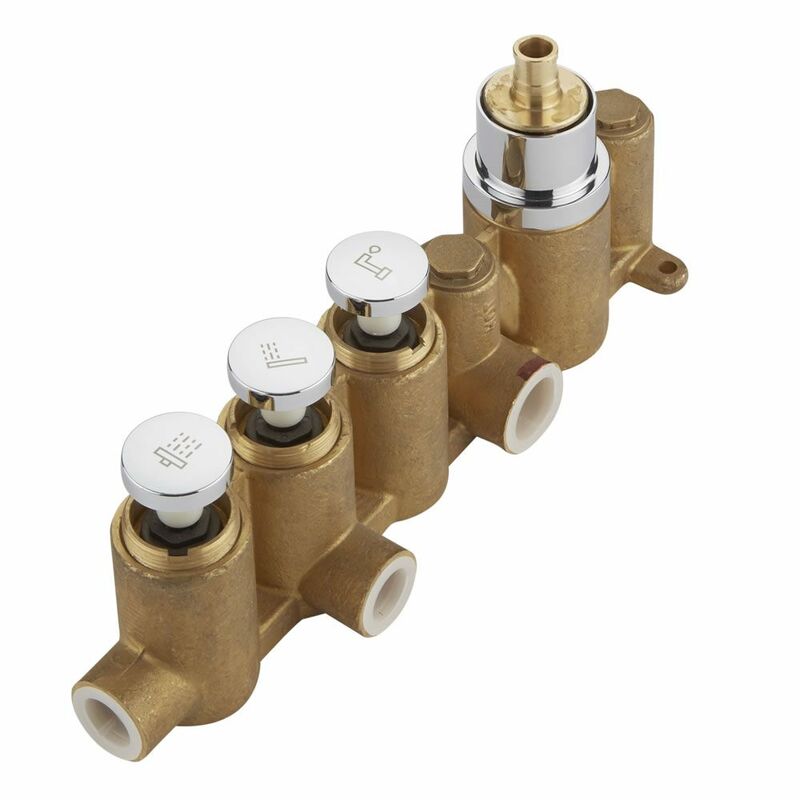 Made from brass with a chrome finish, the shower valve supplies water to three shower outlets. 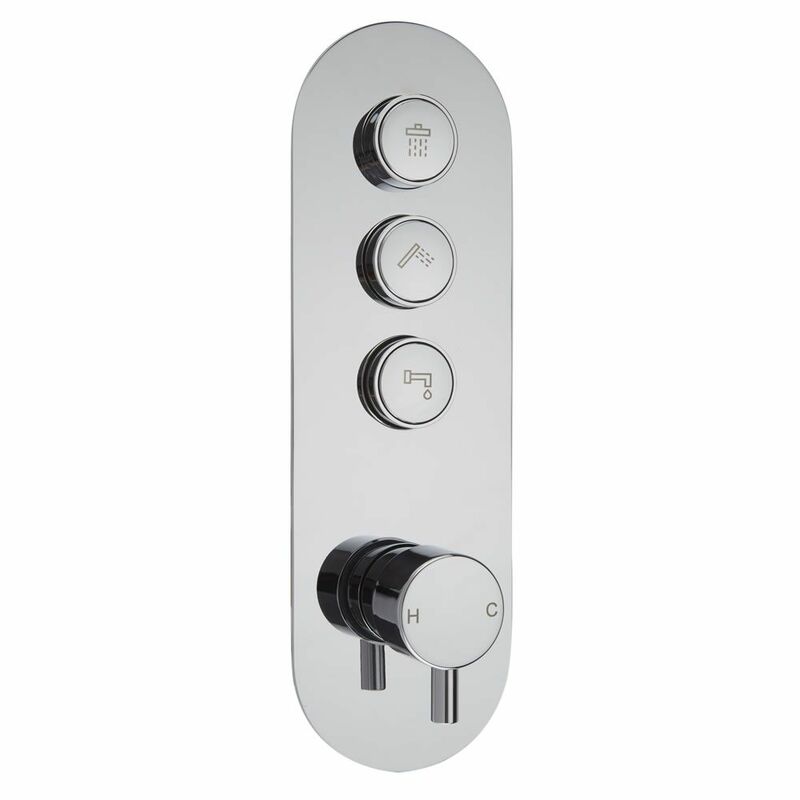 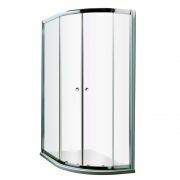 The shower valve is supplied with five separate push buttons, each etched with a different image, for example a shower head, shower blade, handset, bath spout and body jets. 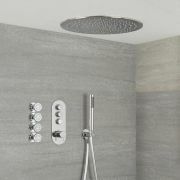 This allows you to match the configuration of your shower.